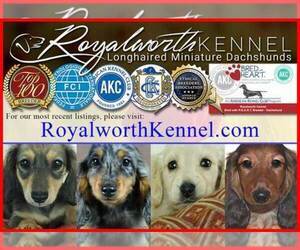 AKC Family Home Breeders of Quality Old West German Pedigrees. Lovingly Family raised with Obedience, Manners, Health and Temperament always a priority. Orthopedic Foundation Certified stock for Hips, Elbows, Hearts, Eyes, Degenerative Myelopathy, Coat, Drug Resistance, Von Willebrand's, Hemophilia and more plus Canine Good Citizen plus. An ASCA Hall of Fame Breeder, raising, training and showing Aussies for over 44 yrs. Emphasis is on Temperment, Soundness and Trainabillity. All of our babies are raised underfoot in our home, played with and loved. They're Vet checked and dewormed regularly and are also guaranteed. They're a nice blend of old foundation lines that can do it all. Focusing on family homes, to approved homes only. Please call to set up a time to come visit puppies and relatives. Call for specific prices. CKC Great Dane puppy, 8 weeks old male black, will come with first set of shots and a health certificate. 800. We specialize in rare color French Bulldogs. All of our studs are four panel health tested using Animal Genetics French Bulldog panel along with full color panels and prelims done by our vet for trachea, patellas, hips, and spines. We do offer stud services to select AKC females. We do not have many litters a year. All of our babies are raised in house. All of our babies come with AKC registration (limited or full), dew claws removed, full color panels, a 2 year health guarantee, Florida health cert, age appropriate vaccines, dewormed, microchipped, a comprehensive puppy back, litter box trained, and with their first dose of Advantage Multi given for heartworm/flea/tick prevention at the time of their health cert given by our vet. We are a small breeder located in lady lake Florida. We raise labradoodle puppies and occasionally have mini poodle puppies. We have a five acres farm where our puppies are family and farm raised. We work on potty training from the time they are walking. Puppies always come with a full vet exam , Florida health certificate,and utd on all age appropriate vaccines and medications. Looking for a reputable dog breeder in Ocala, Florida, USA? Simply browse through our nationwide directory of 1000s reputable dog breeders - complete with website addresses, dog breed profiles, and current puppies for sale.